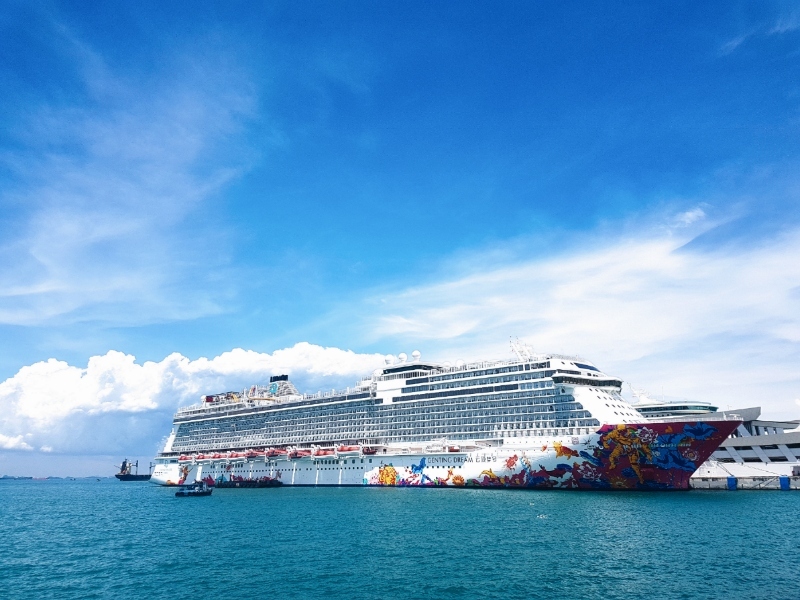 Genting Hong Kong’s Dream Cruises, which debuted in November 2016, is the ultimate getaway for travellers who wish to revel in a one-stop vacation with all the necessary amenities within a short walk away. Being whisked away on a short few hours stay on board Genting Dream Cruises, I wished I could actually spend a few nights exploring the facilities. 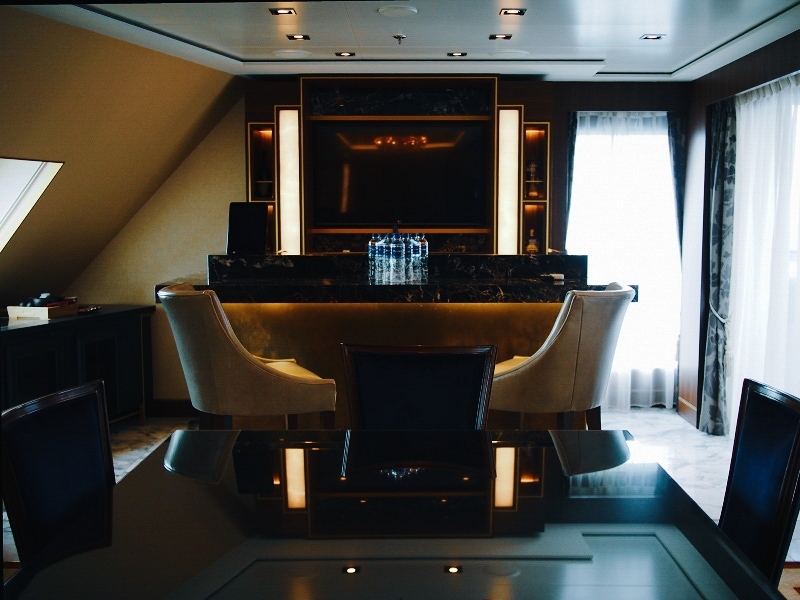 While I would save the actual cruise on another day, I made full use of my few hours on board the liner to check it out during a visit when it docked at Marina Bay Cruise Centre. 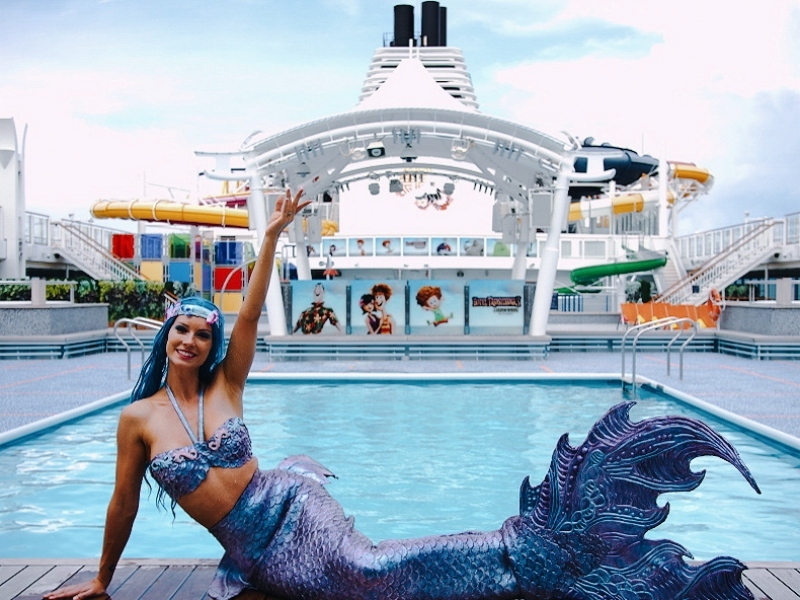 We were greeted by Mermaid Kat’s graceful movements upon boarding the liner. Mermaid Kat, otherwise known as Katrin Gray, owns the first mermaid school in the world with branches in Australia and Germany. From 25 May to 8 June 2018, she will be giving classes on how to “become one with the water”. 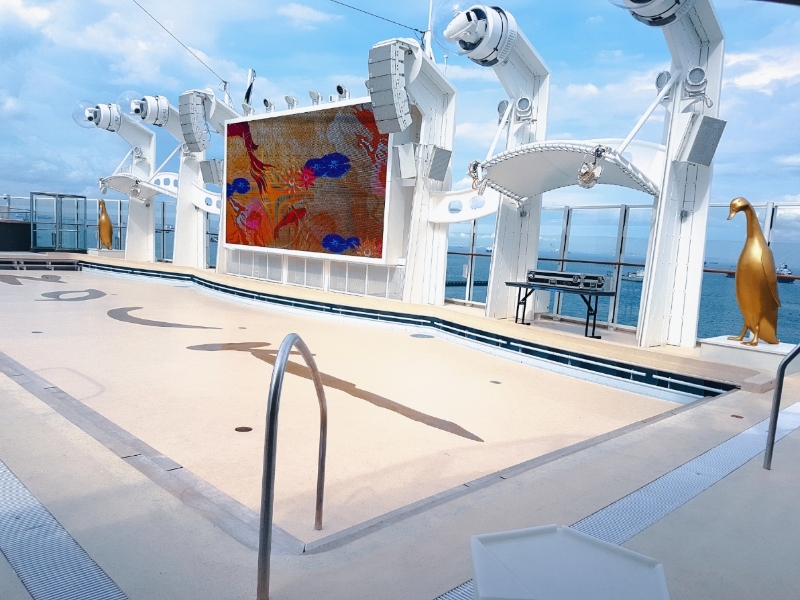 From the pool to Deck 8, we entered into a whole new world — a culinary one, to be more precise. 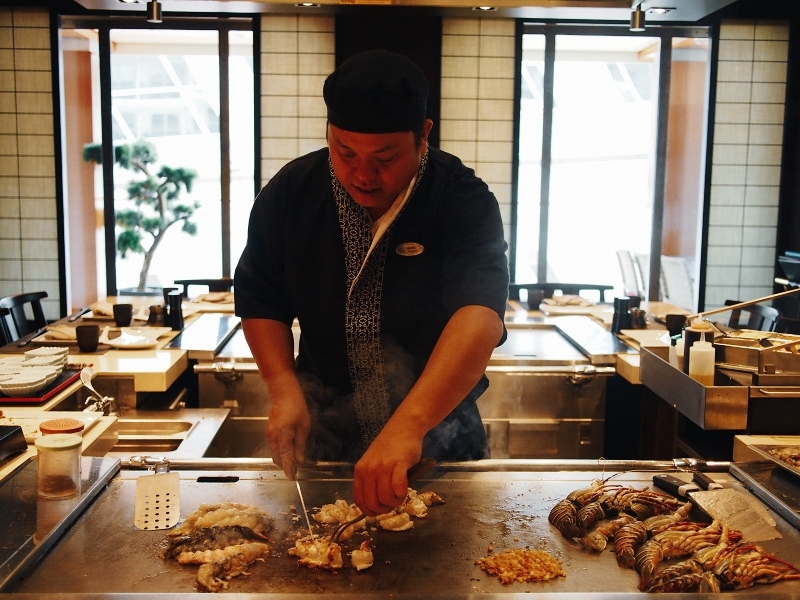 Teppanyaki masters from Umi Uma Teppanyaki, a Japanese restaurant on board the liner, skilfully whipped up portions of lobster and salmon with minimal seasoning, topped with a sprinkling of spring onions. 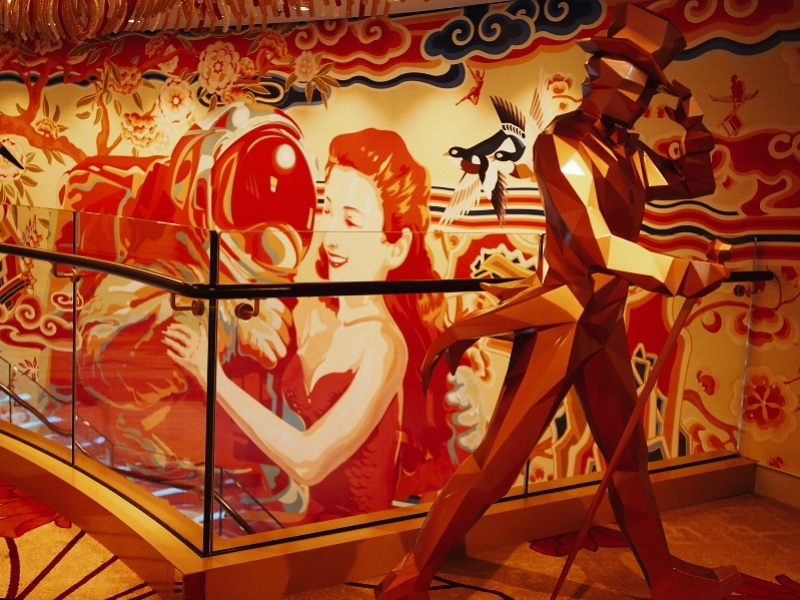 The teppanyaki is a luxury offering set to please every Japanese food lover. 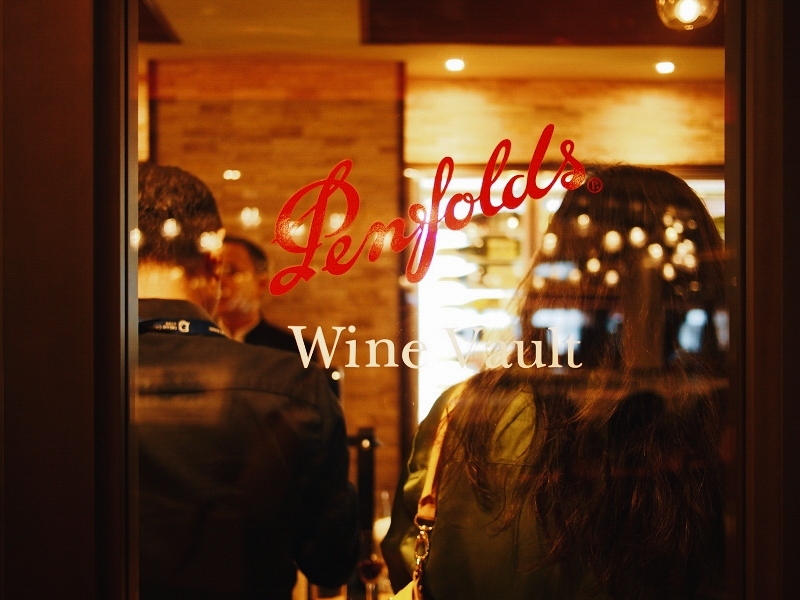 On the same deck, we visited the Penfolds Wine Vault where we were introduced to some of the red and white wines on board. We had the pleasure of starting off the tasting with a chardonnay, which is good with nuts, the cabernet sauvignon which pairs well with cheese and crackers and lastly a shiraz which goes well with grapes. Not quite done with alcohol, a pit stop at the champagne bar was needed. 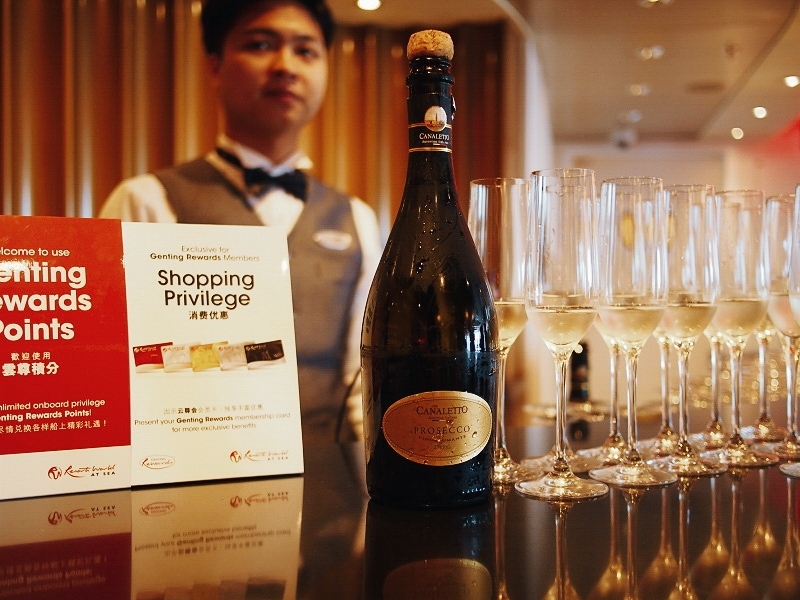 A trip on board the ship is never enough without the introduction of hard liquor. 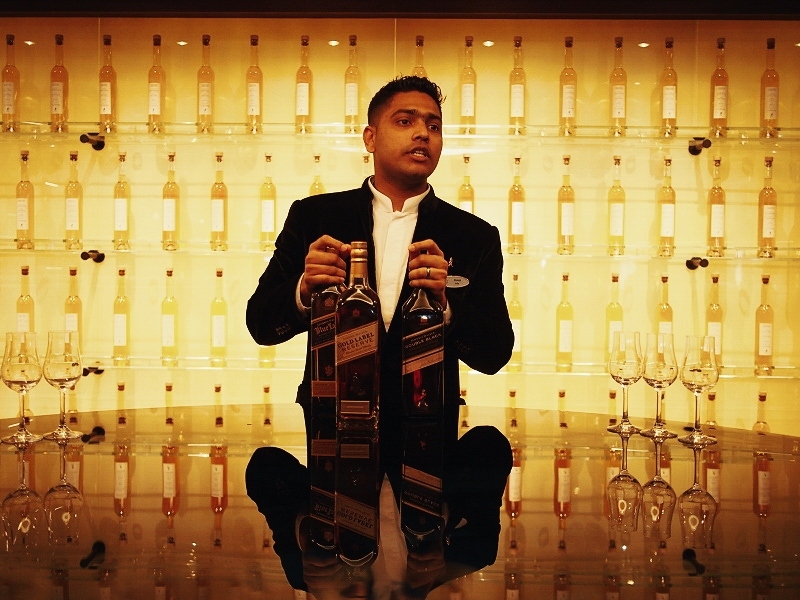 Exclusive to Genting Dream, the Johnnie Walker House carries their most prestigious whiskies; Blue Label, Gold Label, Double Black. For gourmands, you can head to Bistro by Mark Best. 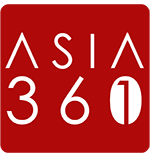 The restaurant is opened by acclaimed Australian celebrity chef Mark Best and serves Western cuisine. I had a taste of the Petunia Ocean Trout, Horseradish and Cream, which was a welcome treat to my taste buds. One of the main activities available was the ropes course and 35-metres zipline. As much as I would have loved to zip across ocean, the weather was rather intense. A mini golf course and rock climbing wall were also in sight. How about partying on a cruise ship? With the ever popular Zouk on the scene, this beach club on water is set to be the ultimate clubbing experience for cruise customers looking to have a wild party night. After the many activities, getting a good rest is tantamount. 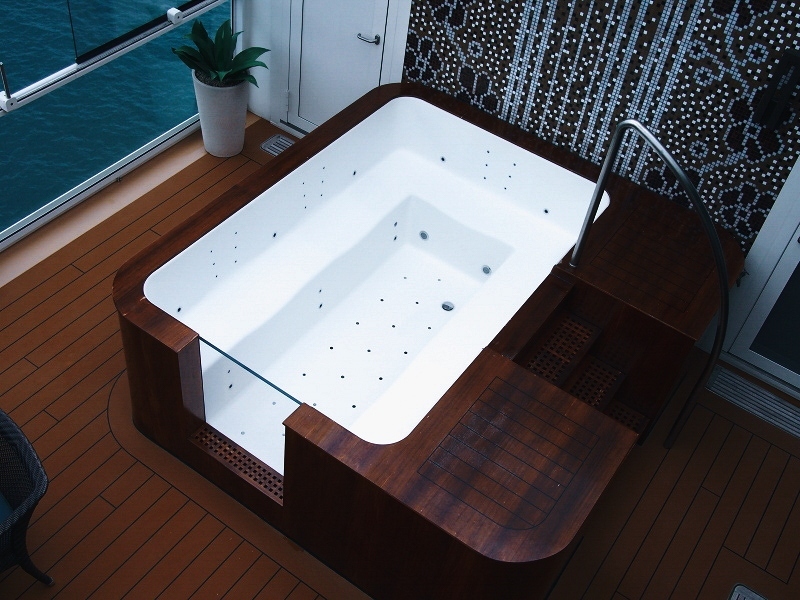 From the extravagant Palace Villa and Palace Penthouse with your own Jacuzzi to the Balcony Deluxe Stateroom and Interior Stateroom, there is a room suited to the needs of everyone. 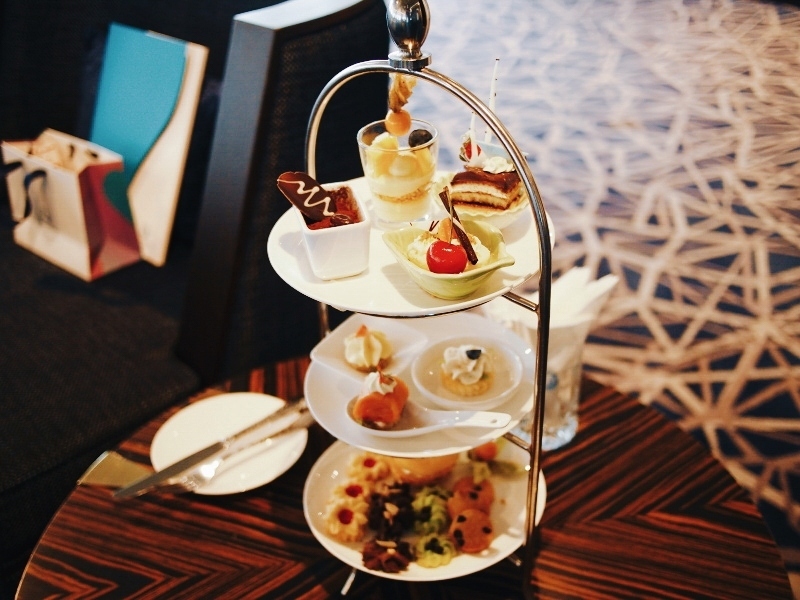 Before debarking the ship, we had a short tea time session to end the port stay. Now, it is your turn to experience the plethora of activities by yourself. 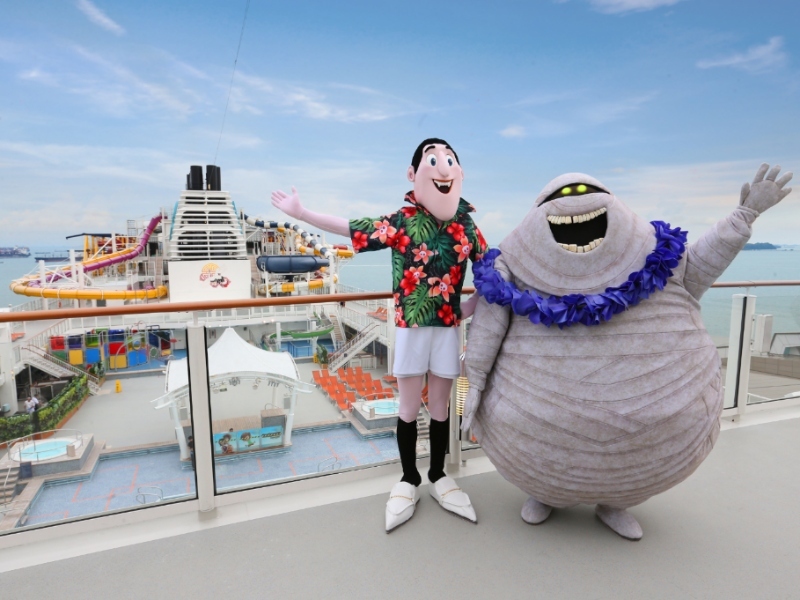 From 25 May to 31 August 2018, Hotel Transylvania 3: A Monster Vacation will be sailing the seven seas together with Genting Dream and World Dream. 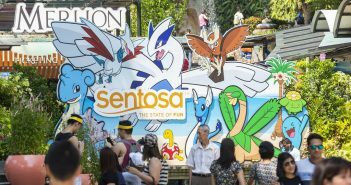 The fun-loving mascots are bound to be a delight to children and adults alike. With a wide range of activities, everyone is guaranteed seven days full of fun! Visit www.dreamcruiseline.com for more details. Melissa is always the first to get her spoon and fork ready to battle her insatiable appetite for good food and drinks.